Marouane Fellaini’s debut at Chinese club Shandong Luneng has been delayed to allow the former Manchester United midfielder treatment for a calf injury, his new coach said Monday. The 31-year-old arrived in Hong Kong on Sunday to meet with teammates and sign autographs for fans, but missed training and flew home to Belgium that night for treatment. 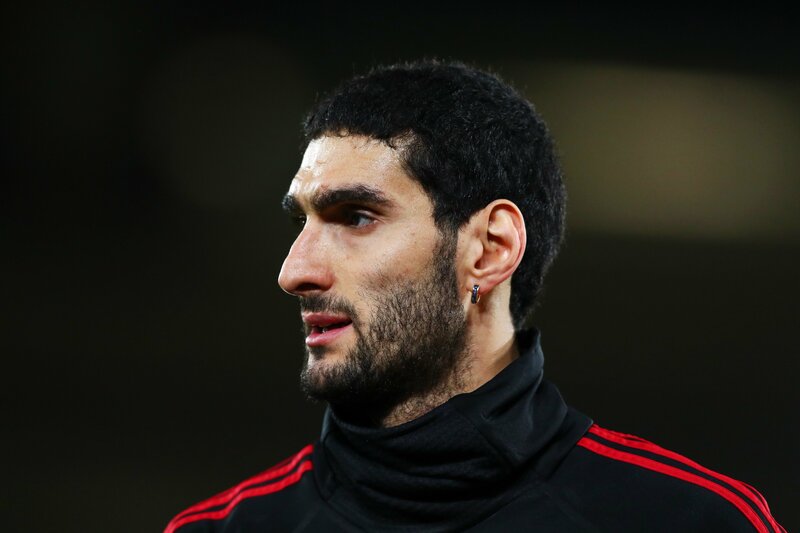 Fellaini had been expected to make his first appearance with the club at Hong Kong’s annual Lunar New Year Cup invitational on Tuesday. “Of course we are very happy that he is joining the club,” Shandong coach Li Xiaopeng told reporters. Li did not say whether the Belgium international would recover for the start of the Chinese Super League (CSL) on March 1. Manchester United announced Friday that Fellaini would join Shandong after 177 appearances in five-and-a-half seasons, scoring 22 goals. But he has featured only once, as a late substitute, in United’s seven Premier League games since Mourinho was sacked and his injury ruled him out of recent matches. At Shandong, Fellaini joins fellow European Graziano Pelle — the 33-year-old Italian striker who joined the club from Southampton in July 2016 for about £13 million. The club finished third in the CSL last season, 10 points behind champions Shanghai SIPG, and were runners-up in the Chinese FA Cup. Shandong take on Auckland City in Tuesday’s Lunar Cup, while Japan’s Sagan Tosu face off against a team drawn from the Hong Kong League in the day’s other match.